Meet these innovators who were instrumental to the advancement of broadband technology. Over the years, this team has committed itself to advancing the technical, economic and social transformations enabled by broadband. Collectively, they have achieved the development and deployment of commercial class cable modems providing broadband access to educational institutions at all levels, the federal government, industries, and hospitals. Additionally, their contribution to consumer-class DOCSIS (Data over Cable Service Interface Specification) cable modems has enabled the cable industry to deploy a broadband infrastructure that today is the marketplace leader. They continue to lead next generation solutions and standards for thousands of services over broadband infrastructure to connect not only cities, institutions and governments, but also 4 billion unserved and underserved people worldwide. To reach these objectives, these pioneers continue to be leaders in seeking out new and innovative technologies such as the utilization of TV White Spaces, the unused wireless spectrum. Much of their ongoing commitment to improving lives through access to affordable, ubiquitous broadband connections is carried out through their contributions to the research, expertise, and policy tools of the UNH Broadband Center of Excellence. Mr. Borden has more than 40 years of experience in the broadband field, especially DOCSIS, in the areas of engineering, marketing, operations, and education. Les Borden has more than 40 years of experience in the broadband field, especially DOCSIS, in the areas of engineering, marketing, operations, and education. He has experience in networking applications and protocols with specific emphasis on DOCSIS, the standard for data over cable TV systems. Mr. Borden also has extensive experience with personal computers, spreadsheets, graphics applications, content converters, and project management systems, used to both produce and guide other technical communicators in producing best in class customer training and technical product documentation for the broadband industry. He also has experience in planning and implementing product presentations for trade shows and customer demonstrations including organizing and providing guidance to technical support personnel to present leading-edge, broadband data communications products. In addition, Borden is able to install, configure, test, troubleshoot, maintain and teach CMTSs, EQAMs, and DOCSIS. Mr. Grobicki is currently an Executive Consultant for the UNH Broadband Center of Excellence, with 40 years of experience in the high technology industry. Chris Grobicki is currently an Executive Consultant for the UNH Broadband Center of Excellence, with 40 years of experience in the high technology industry. 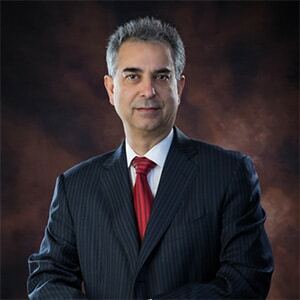 He has held engineering, program management and executive leadership positions on computer and broadband communication product developments and was one of the early pioneers of cable modem and DOCSIS technology for which he is named on multiple patents. Chris was an Executive Consultant with YAS Broadband Ventures working internationally for companies ranging in size from early stage to well established on technology products and services. Before that he was an early member of Broadband Access Systems (BAS) where he formed the group responsible for the development of the RF technology in a carrier-class Cable Modem Termination System. After acquisition by ADC he was promoted to Vice President of Engineering for all broadband communication products. In the early 1990s Chris joined LANcity, a pioneer in cable modem technology, as Vice President of Engineering. LANcity developed and deployed cable modem products worldwide, and was one of the primary authors of the original DOCSIS standardized cable modem specifications. Bay Networks (which was subsequently acquired by Nortel Networks) acquired LANcity in 1996 and Chris spent several years travelling around the world evangelizing broadband cable modems before he joined BAS. Chris received a BS in Electrical Engineering from the University of Tennessee and did work towards a graduate degree at MIT while working at Raytheon. He is named on multiple patents for development work he has accomplished over the years including cable modem technology. Mr. Nikolich is an Executive Consultant for the Broadband Center of Excellence, focused on identifying technology and standards to further BCoE’s mission. Mr. Nikolich is an Executive Consultant for the Broadband Center of Excellence, focused on identifying technology and standards to further BCoE’s mission. Paul holds several patents, serves as a director and advisor for technology companies developing emerging data communications related products and services. 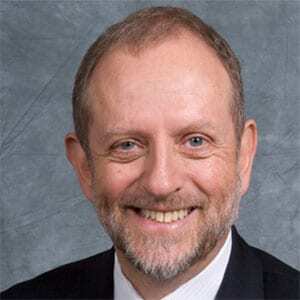 He is an IEEE Fellow and holds several senior IEEE leadership positions while serving as Chairman of the IEEE 802 LAN/MAN Standards Committee since 2001. 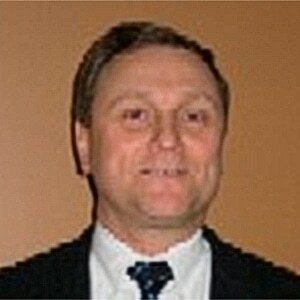 He joined YAS Broadband Ventures, LLC in 2002 as a partner and continues to serve as their Chief Strategy Officer. In 1998 he co-founded Broadband Access Systems, Inc. where he was Vice President of Technology and Standards. The Broadband Access Systems team invented carrier-class Cable Modem Termination Systems. Earlier Paul helped LANcity develop their first generation Cable Modems. Paul has held technical positions of increasing responsibility at multiple communications & medical imaging technology companies including Motorola, Analogic, Racal Datacom and Sarnoff Digital Communications. Mr. Schwartz is principal of Michael M. Schwartz, LLC, a communications consultancy focused on the broadband marketplace. Michael M. Schwartz, LLC, is a communications consultancy focused on the broadband marketplace. This firm provides communications related advice and guidance to entities seeking to enter the broadband industry or to improve their profile in the sector. 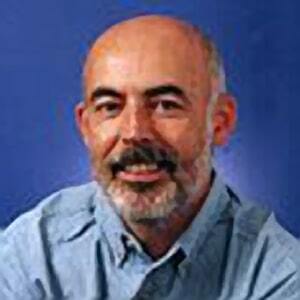 He also is Communications Advisor to the University of New Hampshire’s Broadband Center of Excellence. Prior to consulting on broadband matters, Schwartz was a communications executive with Cable Television Laboratories, Inc. — the cable industry’s R&D consortium — for 22 years, leaving as senior vice president of Communications. Previously he worked as a journalist for Warren Communications News in Washington, D.C.; The Northern Virginia Sun, Arlington, VA; and The Bloomsburg (PA) Morning Press. He holds a B.A. degree in journalism from The Pennsylvania State University, State College, PA.
Liz Weeks has 3 decades of experience with program management in the computer industry, Cable Industry Standards and marketing. Liz Weeks has more than 4 decades of experience with program management in the computer industry, Cable Industry Standards and marketing. After earning an AA in Advertising from the Advertising Arts College, Liz worked for a number of companies in-house, representing a wide variety of products from one of the first fully-animated multimedia computer games to a novel spectroscopy device capable of identifying the entire spectrum in a single measurement. A “temporary” position at CableLabs turned into a decade of working closely with Rouzbeh and YAS Broadband Ventures on projects from the Data Over Cable Systems Interface Specifications (DOCSIS) and managing CableHome while at CableLabs, to document control for a whole-home set top box for a major cable company. Liz saw her role within the YAS team as a grounding force, putting great ideas into “average Joe” terms and occasionally throwing a lasso out to make sure that projects had a simple focus. Mr. White has been a pioneer in the data over cable space since its beginnings, is the author of multiple patents and articles on data communications technology. Gerry White has been a pioneer in the data over cable space since its beginnings, is the author of multiple patents and articles on data communications technology and holds a BSc. in physics from University College London. White White assumed a leading role in the cable industry’s efforts to define, develop, and deploy standards-based voice and data technology in his employment at LANcity, Bay Networks. He continued this mission at Nortel where he served as Vice President and CTO of the Nortel Cable Group, a provider of voice and data equipment to the CATV market. As Vice President and CTO of River Delta Networks, he played a pivotal role in creating a carrier class CMTS/edge router to provide integrated VoIP and high speed data services to cable service providers. When River Delta was acquired by Motorola, he was responsible for technology planning within the IP Systems group, strategic direction in the core networks division and ultimately, the lead architect for the Network Infrastructure Systems group within Motorola Mobility where he was responsible for the definition and architecture of next generation IP video and data edge products including their CCAP platform. 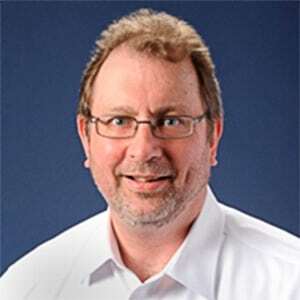 Gerry went on to work in the CTO group of the Cisco cable unit from 2013 until retiring in 2016, focusing on the strategy for next generation cable products such as cBR-8 CMTS Distributed DOCSIS architecture, SDN and NFV. He also served as president of Forest Hill Technology and acting CTO at YAS Broadband, both consulting companies in the technology arena specializing in cable infrastructure. 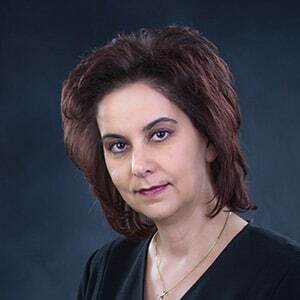 Dr. Rouzbeh Yassini is a serial entrepreneur, philanthropist, innovator and is acting Executive Director of the University of New Hampshire Broadband Center of Excellence, an interdisciplinary initiative devoted to the advancement of broadband Internet technology and services globally. Dr. Rouzbeh Yassini is a serial entrepreneur, philanthropist, and is acting Executive Director of the University of New Hampshire Broadband Center of Excellence, an interdisciplinary initiative devoted to the advancement of broadband Internet technology and services globally. Dr. Yassini is widely known as the “father of the cable modem,” reflecting his pioneering work in cable broadband technology as the founder and CEO of LANcity and as prominent contributor to the CableLabs Data over Cable Services Interface Specification (DOCSIS), a pillar of today’s worldwide, multi-billion-dollar broadband industry. As Founder and CEO of YAS Corporation, Dr. Yassini has been instrumental in the creation of multiple start-up companies that have either been acquired or have successfully staged initial public stock offerings. 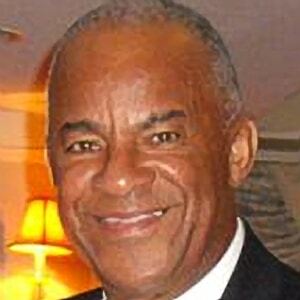 He has served as a senior executive consultant with Comcast; as an advisor to CableLabs in charge of the research organization’s DOCSIS and CableHome projects; and he currently serves as a member of Visteon Board of Directors and the Liberty Global Inc. advisory technology board. He has also served as a member of the board of directors for LANcity (acquired by Bay Networks in 1996); Broadband Access Systems (acquired by ADC in 2000), TrueChat (acquired by Terayon in 2001), and Entropic Communications and been involved 10+ start-up companies. 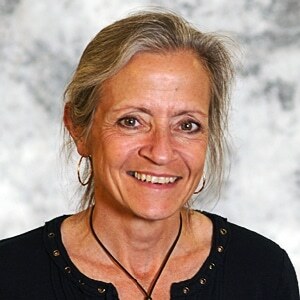 In 2008, Dr. Yassini launched the Yassini Broadband Knowledge Center in Boston, offering research grants and facilities to investigate fresh ideas in broadband technology. These programs were transferred to UNH through the Broadband Center of Excellence in 2012. Dr. Yassini is the author of Planet Broadband (Cisco Press, 2004), a humanized look at broadband technology and its contributions to society. Ms. Pamela Yassini is currently President of the YAS Foundation engaged with YAS global philanthropy. She has over 26 years of experience in Telecommunication an Network Architecture. dimensional project results consistently meeting schedule and budget parameters. and has extensive knowledge in telecommunications tools and protocols. Pamela has a Bachelor in Computer Science and Information Systems (BSCS) from Merrimack College in North Andover, Mass. and also attended the University of Houston’s Pharmaceuticals/Computer Science program.